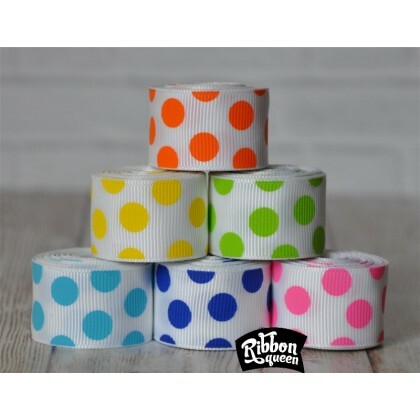 Colorful Funky Dots will add a pop to everything! Six gorgeous color combos to choose from. 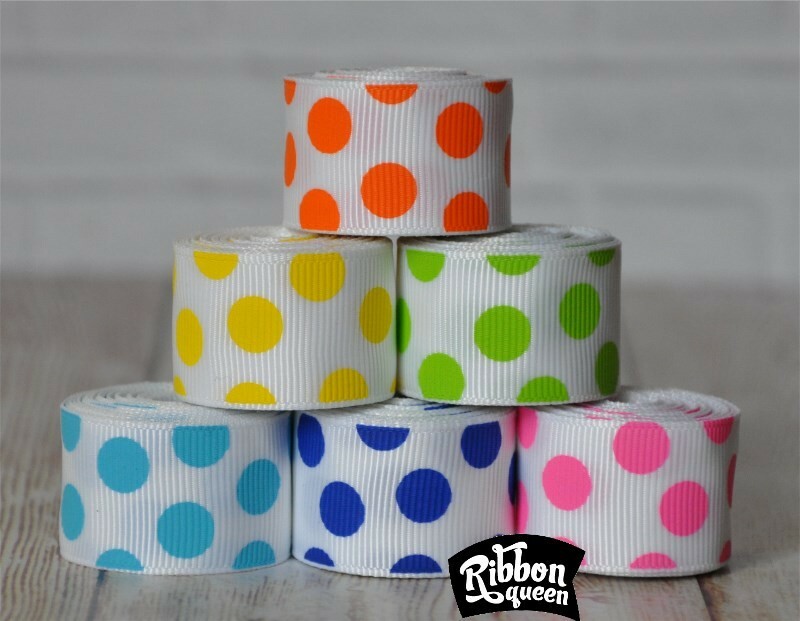 Dots are printed on one side and reverse to white solid ribbon. Hand washing is recommended to keep them bright, low iron on opposite side. 100% Polyester, machine wash, tumble dry low.